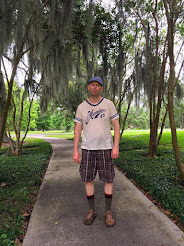 "The past and the present have intermingled at Collinwood." 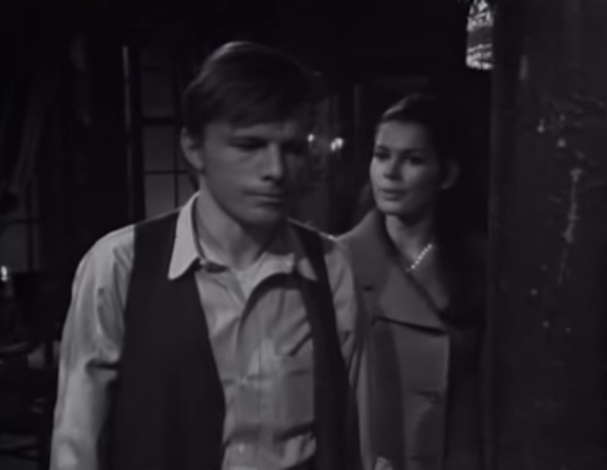 Victoria Winters goes to the Old House to find Barnabas, but finds Willie Loomis there. He says get out of this house right now. She says why should I.
Victoria's response to learning that Willie is working for Barnabas fixing the old place up is sort of unusual. She is pleased how he has helped fix the old place up. Fearing perhaps for her safety Willie asks her to leave. As soon as she is gone Barnabas appears. Barnabas then visits Maggie Evans, who seems in a state of distress. She cannot shake the feeling that she is being followed. Barnabas tries to put her at ease and says he has come to commission a portrait of himself by Maggie's father, who is an artist. He arrives with the news that another local woman has been attacked. Barnabas offers Sam Evans $1000 to paint his portrait, but insists the work must only be done at the Old House, and at night. Sam Evans sets up his easel at the old house, and begins working. This is the first time Barnabas Collins has been in two consecutive episodes, or is it now three? 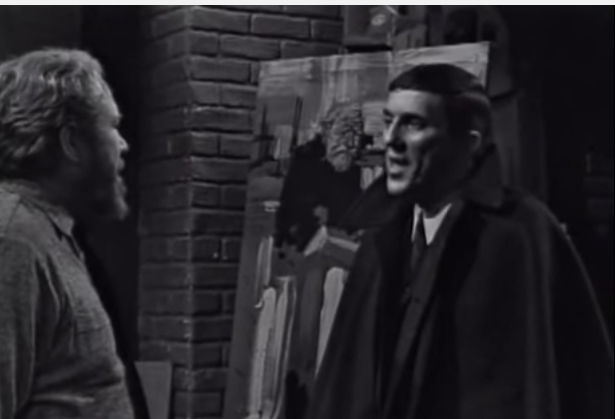 I just was overtaken with the curiosity to know if that portrait of Barnabas Collins was on the wall in episodes of the show before he appeared as a character. At dawn Sam Evans says he has one more line to finish, but Barnabas says they are finished. He finishes the brush stroke and discovers Barnabas is gone, replaced by Willie Loomis who says he must return the following night to continue working.